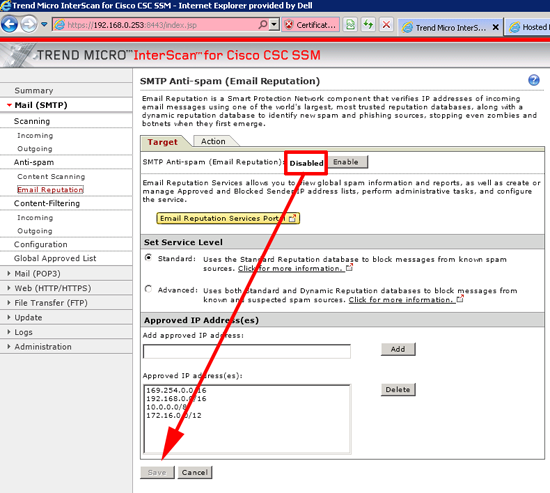 All I could discern from Googling the error, was that the AV (In this case the Trend Micro InterScan for Cisco CSC SSM), in the Cisco CSC Module) was probably the culprit. 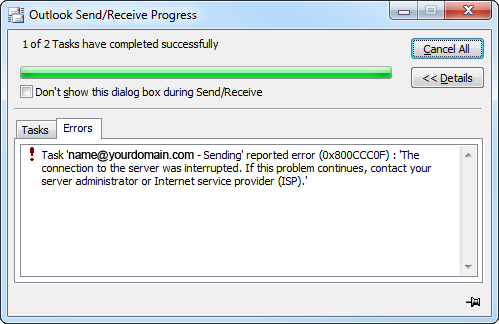 I tried stopping the POP3 Service on the CSC that did NOT fix the error. Warning: If you do this, your CSC settings must be set to “csc fail-open” or web and email traffic will stop! Once you have confirmed this IS the problem you can re-enable the module with the following command. I tried from my office and it worked fine, I could not replicate the error, I tried from various servers and Citrix box’s from other clients who kindly let me test from their network. Still I could not replicate the error! I went home and that was the first time I could see the same error their users were seeing. Sadly this led me on a wild goose chase, (I use Outlook 2007 at home and Outlook 2010 everywhere else so I (wrongly) assumed that was the problem). As I could now replicate the error, I could at least do some testing, I attempted a send/receive and looked at the CSC Logging. 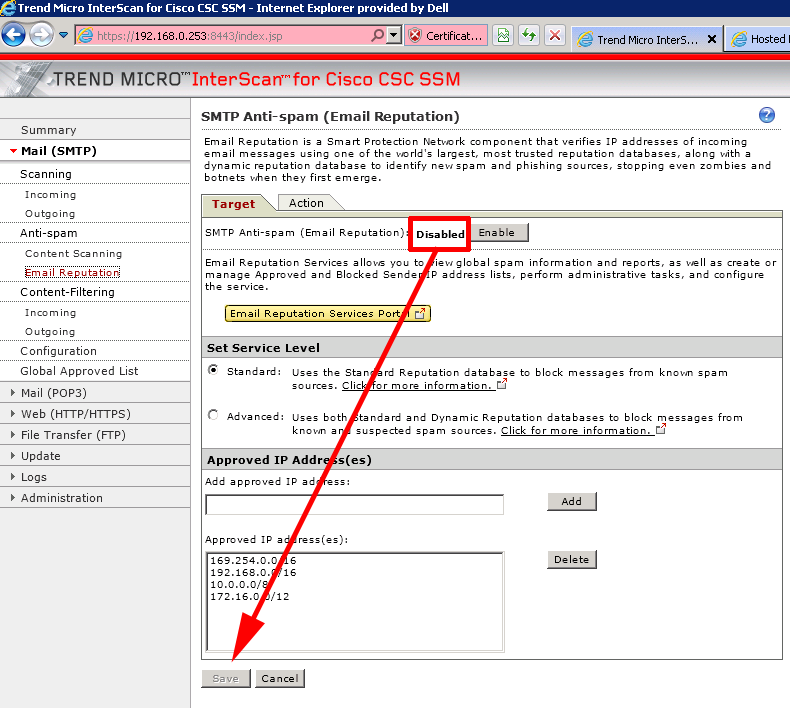 Note: To view CSC Logging, connect to the ASDM > Monitoring > Logging > Trend Micro Content Security > Continue > Enter the password > OK > View. Every time it failed, I saw my public IP being logged with a RejectWithErrorCide-550 and RBL-Fail,QIL-NA. At last something I could work with. 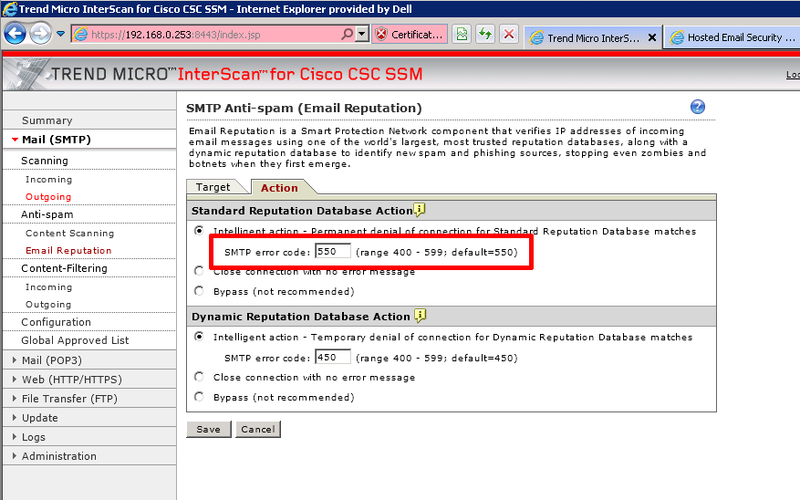 This error indicates a problem with the Email Reputation system, I logged into the CSC web management console > and located this. 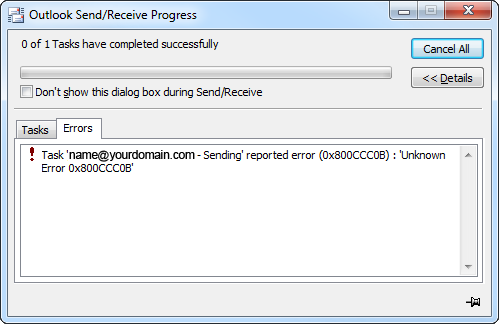 Then I disabled the ‘SMTP Anti-spam (Email Reputation)’, and everything started to work. I understand the need for this system, but the nature of POP3 email clients, dictates they can connect in from anywhere, usually from a home ISP account on a DHCP address. I know from experience that major ISP’s IP ranges get put in RBL block lists (I checked by popping my IP in here, and sure enough it was blocked). If you are going to use POP3 then you need to leave this system disabled, but to be honest, if you have Exchange, simply swap over to Outlook Anywhere and stop using POP3. Special thanks to Jenny Ames for her patience while I fought with this over a number of days.